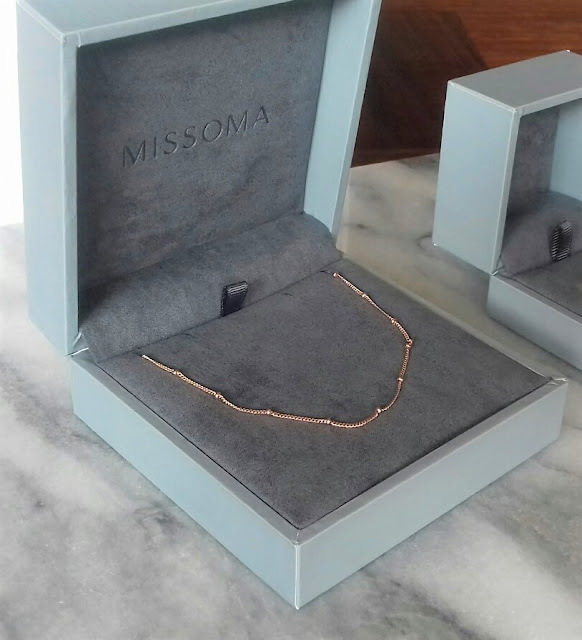 Although you can often find rose gold jewellery at any time, rose gold has had a bit of a reprisal in the last few years. I bought my first rose gold vermeil piece a few years ago and since then I've been working up to having a complete look in rose gold. I thought I'd share which pieces I have bought on for my own collection. 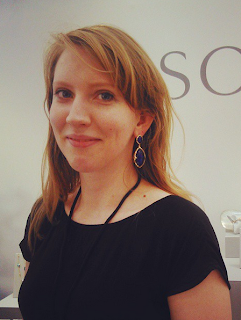 My first purchase was the Dinny Hall Rose gold vermeil bamboo earrings.This was at the start of the recent hoop earrings trend and I wanted something easy to wear every day that was also had a point of difference. I love the bamboo shape of the earrings they are quite different. They are also a good size for hoops; not too big or too small. 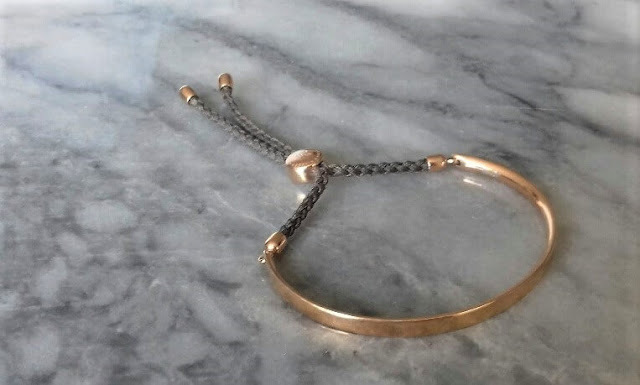 Next I received a Monica Vinader Fiji bracelet in rose gold vermeil with a mink colour cord. This was a gift from my mother on her wedding day. 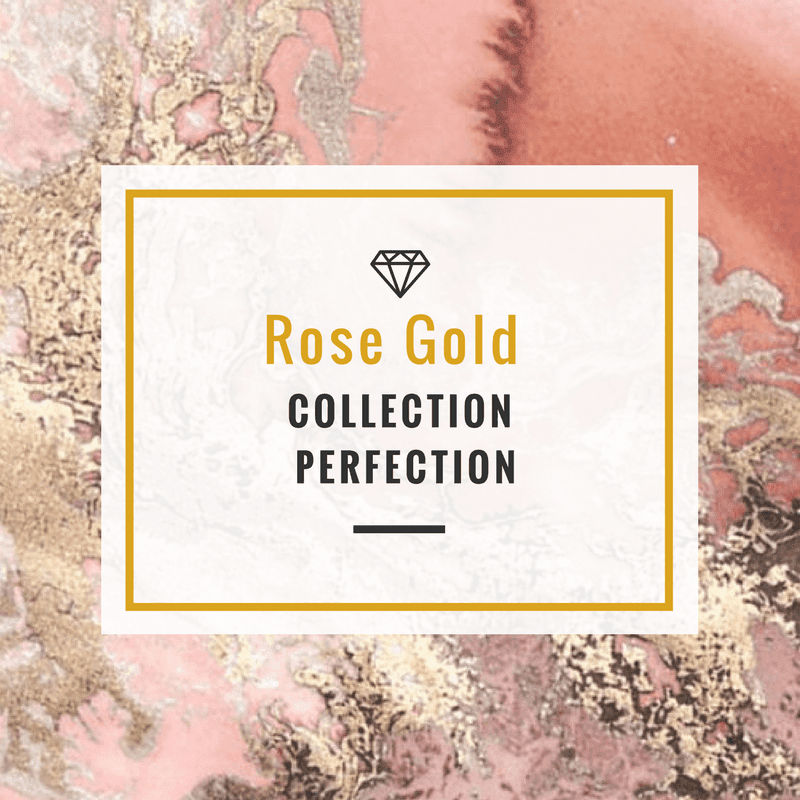 It has great sentimental value as she is a great lover of rose gold. I went for a cord colour in mink as this seemed like a really stylish warm neutral colour and would go with my other jewellery and also my clothes. I also had my initials engraved on to the adjuster. So I've got my earrings and a bracelet, my next purchase was quite a spontaneous one. 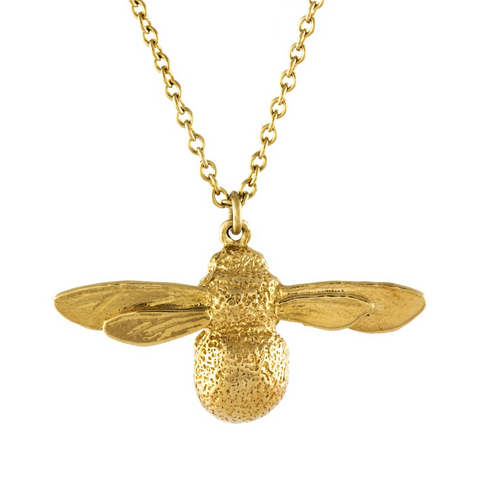 If you read the my style section of the blog, you might know that my favourite jewellery designer is Shaun Leane. I've got a pair of talon earrings and I've always wanted a talon ring. They are so thick and heavy definitely worth their weight in gold vermeil. Most of rings I own are single stone large cocktail rings so a Shaun Leane Talon Ring seemed like something very different to what I already owned. I almost didn't get this ring in rose gold but the tones looked so good I never wanted to take it off. As there is no stone and the ring is very architectural the rose gold colour of the ring is the only feature and the surface area is quite large. This ring is really comfortable to wear and shape fits on to your hand so well. Next I bought myself a Monica Vinader pendant, I bought one of these as a present for my cousin and she wears it every day. I even had a her initials engraved on it. Every time we met up I kept thinking just how chic that necklace was and how I actually wanted one for myself. So when celebrating a pay rise I decided to finally get myself one. I haven't put my initials on it as I quite like the look of this necklace as a plain necklace. I decided that as I wanted to keep the pendent plain that I would get a chain that was a little bit jazzier than a plain trace or rolo chain. In the end I bought one from a completely different brand, Missoma. I love their beaded chains as very few places offer chains like this, especially in rose gold. This is why it's also important to think about the colour of the rose that you've chosen. 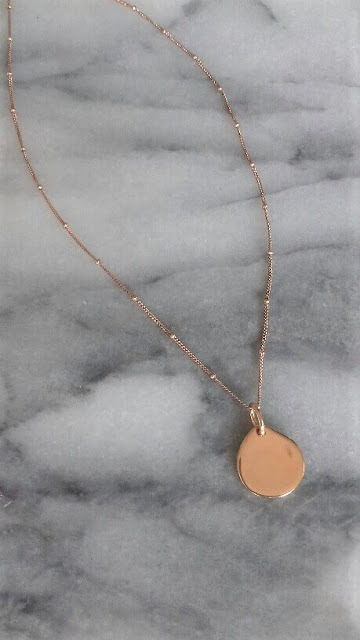 My pendant and chain do actually go together really well and as the Monica Vinader pendant is small and simple this chain makes a very stylish pairing. My necklace is also then pretty unique unless you're mixing and matching brands. 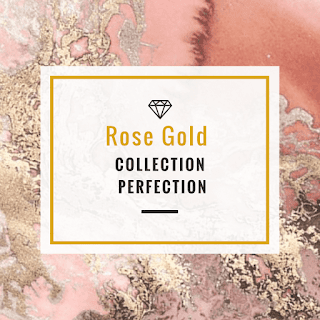 These were all pretty reasonable purchases if you're looking to start your own designer jewellery collection and as you might have noticed all of these pieces are rose gold vermeil. I am a huge fan of gold vermeil and if you are not sure what it is check out my previous article "What is Gold Vermeil and Why I Love it?" The other unifying characteristic between all of jewellery is that there are no stones or embellishment on the jewellery that I've gone for. I think rose coloured metal is something of a feature and without really noticing I've kept all my pieces not necessarily minimalist but very simple and clean.